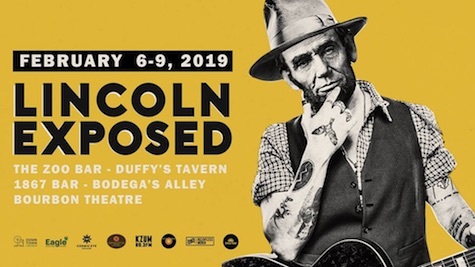 Lincoln Exposed 2019 runs tonight through Saturday. It’s year 14 for Lincoln Exposed, the annual week-long multi-bar showcase that celebrates the Star City’s music scene. With forecasts calling for three to six inches of snow tonight, the timing couldn’t be any better to get stuck in Lincoln for a few days! The five venues participating this year are The Zoo Bar, Duffy’s Tavern, Bodega’s Alley, Bourbon Theatre and 1867 Bar. Meanwhile, back here in Omaha tonight, Epitaph recording artist Hunny plays at Reverb Lounge. From Newbury Park, CA. Opening is Kanine Records act Hockey Dad, whose latest, 2018’s Blend Inn, was produced by John Goodmanson (Bikini Kill, Sleater-Kinney). $18, 8 p.m.